From a great American storyteller, a one-of-a-kind father and his precocious son, rocked by a time of change. Tom Harry has a streak of frost in his black pompadour and a venerable bar called The Medicine Lodge, the chief watering hole and last refuge of the town of Gros Ventre, in northern Montana. Tom also has a son named Rusty, an "accident between the sheets" whose mother deserted them both years ago.The pair make an odd kind of family, with the bar their true home, but they manage just fine. Until the summer of 1960, that is, when Rusty turns twelve. Change arrives with gale force, in the person of Proxy, a taxi dancer Tom knew back when, and her beatnik daughter, Francine. Is Francine, as Proxy claims, the unsuspected legacy of her and Tom's past? Without a doubt she is an unsettling gust of the future, upending every certainty in Rusty's life and generating a mist of passion and pretense that seems to obscure everyone's vision but his own. 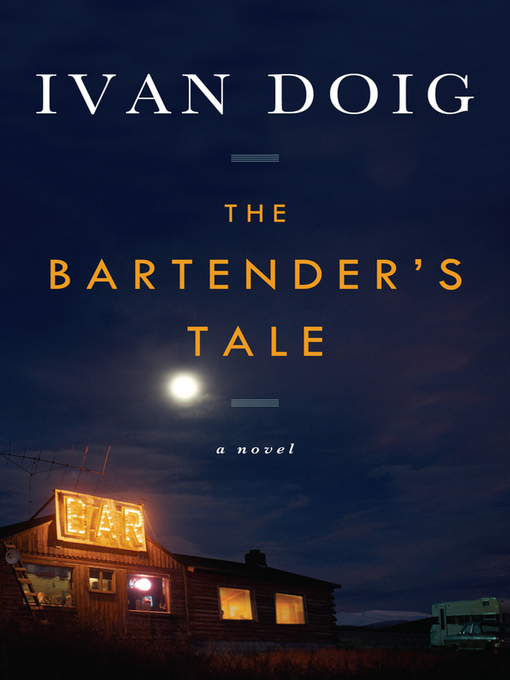 As Rusty struggles to decipher the oddities of adult behavior and the mysteries build toward a reckoning, Ivan Doig wonderfully captures how the world becomes bigger and the past becomes more complex in the last moments of childhood.